30Day Bootcamp Challenge Starts Wednesday! 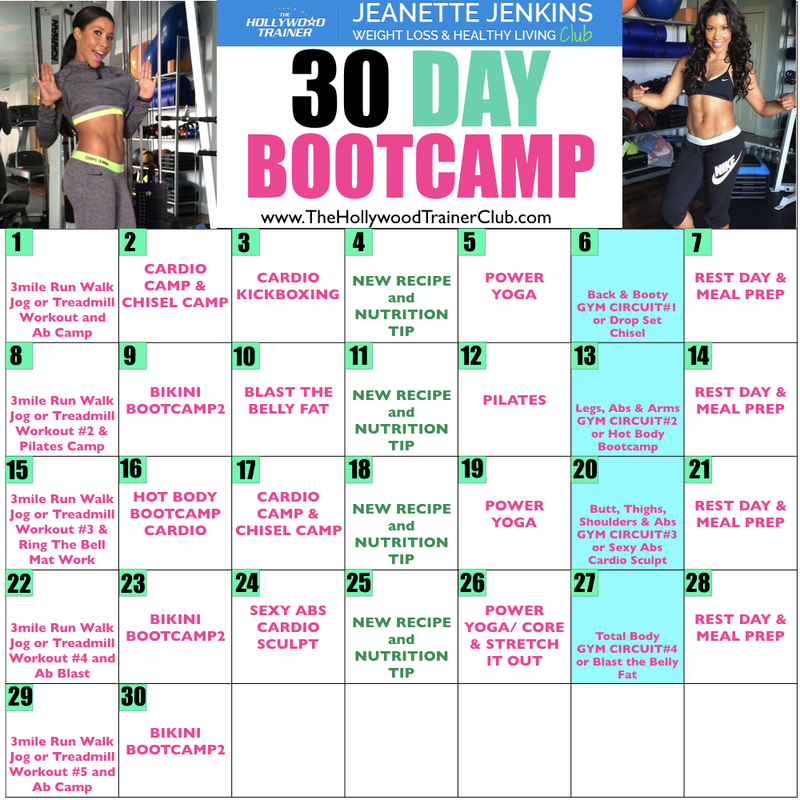 Just in time for Spring we’re starting the 2nd round of our 30 Day Bootcamp Challenge! Starts Wednesday March 1st. This is perfect to give you a kickstart to your summer body. Join The Hollywood Trainer Club for $19.99 a month for over 330 workouts and challenges, 150+ healthy recipes and meal plans, motivation and community support. Every week there’s one Treadmill Workout (optional outdoor 3mile run/walk/jog), 3 Cross-Training Workouts that you can do at home (Cardio Kickboxing, Pilates, Bootcamp, Yoga, Sculpting) and one Gym Workout (optional at home sculpting workout). 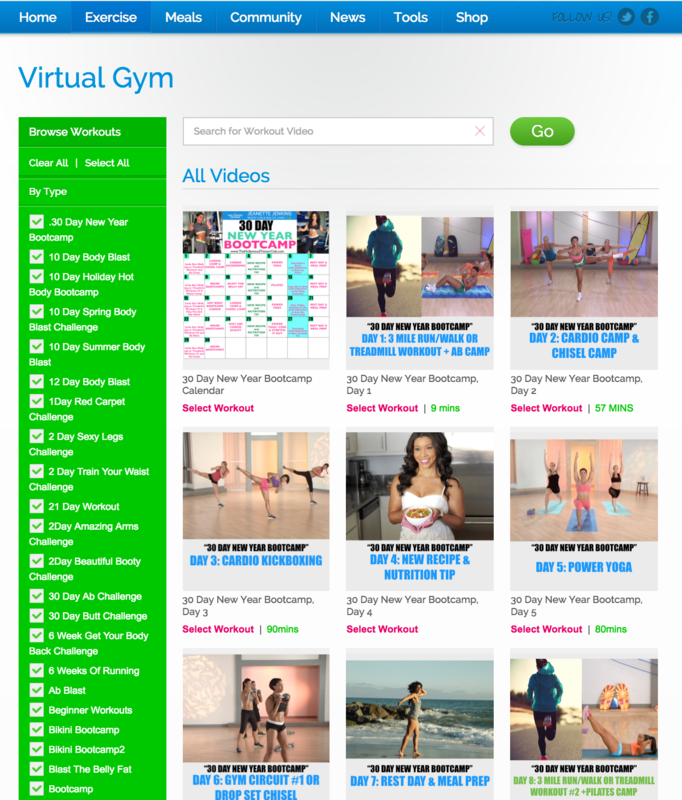 Log into The Hollywood Trainer Club, click Exercise, then Virtual Gym and select the 30 Day Bootcamp tab to preview the full program. Here’s an example of the weekly meals. 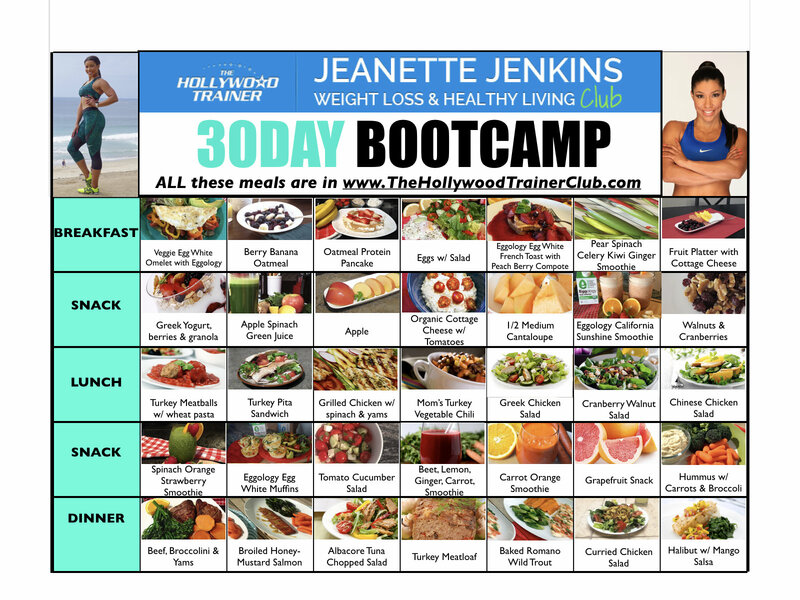 Log into The Hollywood Trainer Club , click Meals and pick choose your favorite meals. Write a message on the Community Wall so that we know that you are joining us!